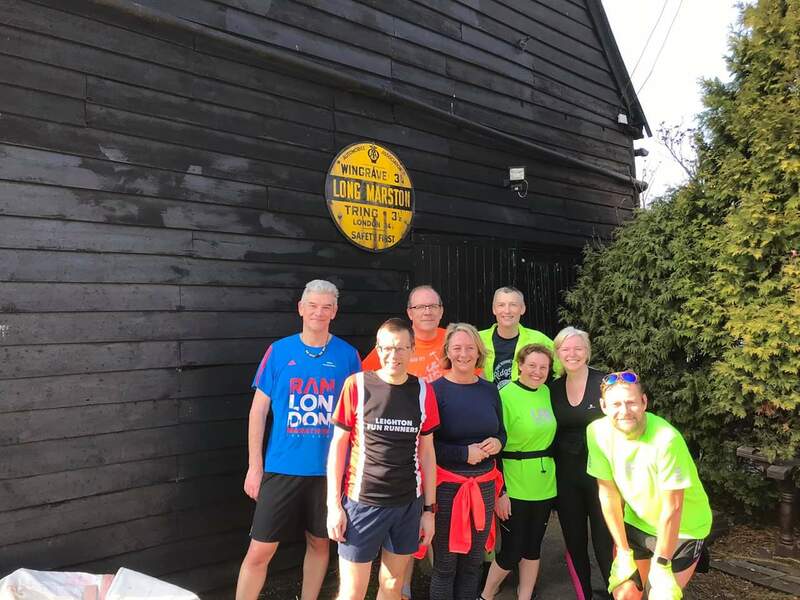 Leighton Fun Runners > Latest News > This is the week…we elected a new committee! The big news of this week was our AGM where we have some new members joining our committee and where we chose the club’s charity for the coming year. Look out for the AGM minutes which will be published on the LFR website. Leaving the committee this year are Alice Moseley, Carrie Tyas, Neil Warby and Jane Crighton. Thank you so much for your contributions to the committee and the club. We are all extremely grateful for all that you have done and continue to do. Also leaving the committee is Rob Laughton as Chair. A huge thank you to Rob for his commitment to the club during his time on the committee as Captain and Chair. He has a busy year of personal goals ahead of him - best of luck. We can't wait to hear all about it! We have some continuing members and some new members to LFR’s Committee. Staying on in the roles are: Sandra Dunsterville - Secretary; Dan Green - Captain; Jennifer Garner - Communications; Lindsey Rigby - Kit; Max Marshall - Events & Fundraising; Matt Gilbert - Coach. Joining the committee we have: Andrew Heale - Treasurer; James Smith - Vice Captain; Caroline Mann - Membership. Joining our coaching team are Kevin Hare and Annis Turner. And of course moving into a new role on the committee is our former treasurer and now Chair, Steve Ellerton. Welcome all! The website will be updated in due course with confirmation of the above. The club charity for 2018/19 was Brain Tumour Research and LFR are making a donation to them of £6,308. We are also making a donation of £250 to Clic Sargent in recognition of the help we receive from Morrisons when putting on LFR runs and events. Clic Sargent are Morrisons’ nominated charity. Well done everyone this year on helping to raise these funds! Finally….we are delighted to announce that the club’s chosen charity for 2019/20 is Reclaim Life, a charity based in Leighton Buzzard. Reclaim Life offer five free sessions of life coaching to local residents using the Human Givens approach to promoting emotional wellbeing. Their volunteer life coaches offer practical help to deal with mental and emotional distress in the here and now, enabling clients to move on in their life as quickly as possible. They receive no NHS funding and all their life coaches are volunteers. It costs them approximately £80 to see each client. Any donations they receive would be used for everyday running costs which are funded solely from donations and their own fundraising events. You can view full information about Reclaim Life on their website. We had our usual club runs and adventures in a week of glorious sunshine which carried on to the weekend. parkrun day saw 17 LFRs head over to the inaugural Dunstable Downs parkrun – another great local parkrun to add to the list! We also had LFRs at Cardiff, Milton Keynes, Linford Wood, Colney Lane, Sedgefield, Houghton Hall, Watermeadows and of course Rushmere. 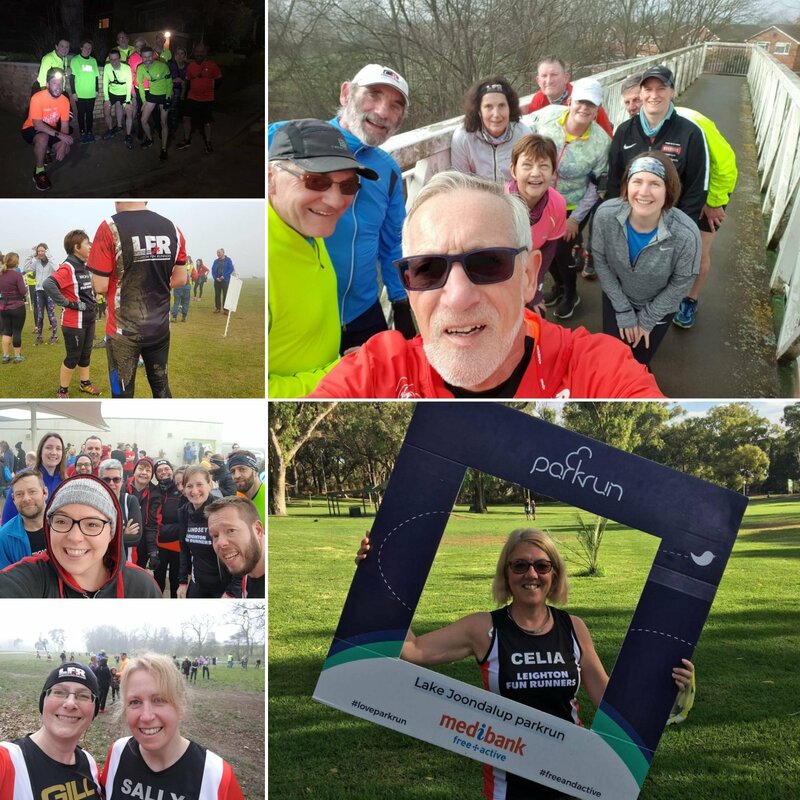 We also had Celia furthest afield with the best parkrun name of the year so far –Lake Joondalup. Wonderful. We even had some PBs at home in Rushmere this week from Jamie and David – great running, guys! 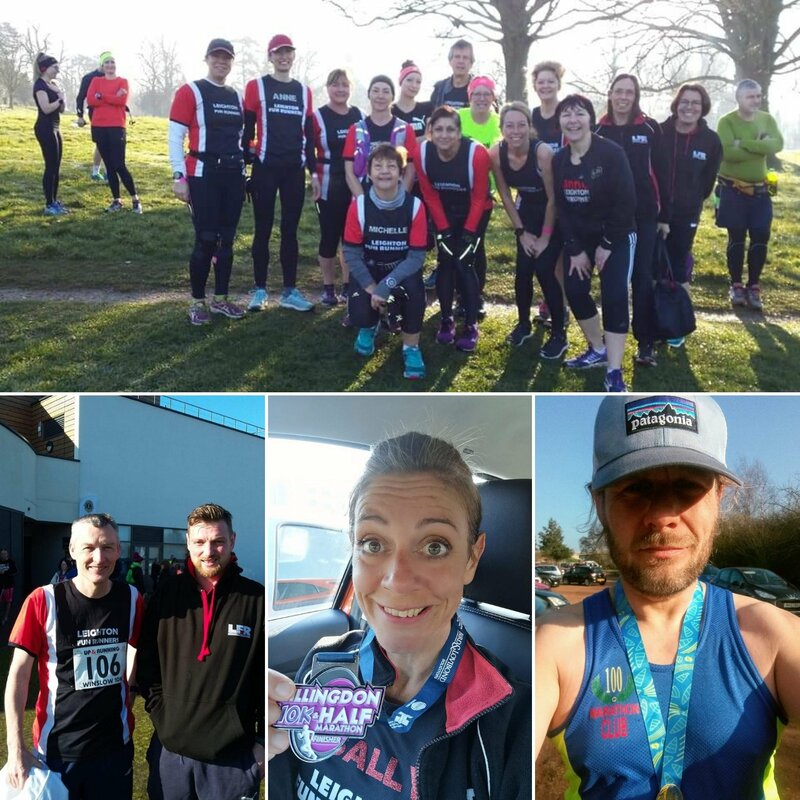 It was another weekend full of events: Glyn was taking a break from Wainwright bagging, getting a marathon in instead at the AGM marathon; Sally was at the flat and sunny Hollingdon Half; and Team Ellerton were flying the LFR flag at the Winslow 10K where Tom bagged himself an incredible PB of 39:48. Chair Steve: “I was less fast, but handed out more flyers for our 10K than him” – the father/son rivalry is strong. We also had training runs aplenty: Kelly and Laura were running their furthest distance again hitting 11.36 miles, all in training for their first half marathon. Well done, ladies! And Team LFR were at the 17 mile training run put on by Gade Valley Harriers. That’s all for this week. Happy running!